What do your kids do after school? It is a question you ask yourself or someone asks you at least five times a year. You are not alone in wondering, and you are right to wonder. After-school programs are an integral part of child and family life in this country, and finding ones that fit your child is not always easy. For kids who participate in after-school programs, Afterschool Alliance research reports a.) Improved school attendance and engagement in learning b. )Improved test scores and grades and c.) Students at greatest risk show greatest gains. After-school programs are proof positive for student improvement.The big quandary in after-school programming is finding quality experiences that don’t disrupt the quality of your work and family life. Local research found that parents need a variety of quality opportunities that happen on campus, right after school. That’s why years ago The Lexington School launched its “Our Backyard” initiative to provide an array of offerings and times for after-school programs. INTRAMURALS: Intramural activities are fun, creative and active course offerings for kids PreK through 5th grade. Intramurals are just a little something extra. Courses in fencing, taekwondo, Bricks4Kids, yoga, tennis, lacrosse and more, intramurals exercise the body and the brain, they teach something new, and they are a great way to dabble in something new without too much long-term commitment. Intramural programs change each semester to include new and different fun for preschool and lower school children. The cost of Intramurals varies depending on the course. For more information, visit the web or contact Jonathan Herrington, Director. 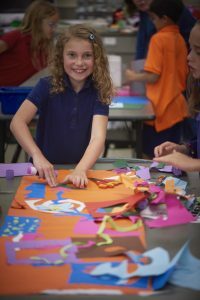 FINE ARTS: The Lexington School offers visual, music, and theatrical art options for just about every age group during the fall, winter, and spring season. By commissioning community artists, the After-School Fine Arts Program fosters creativity among children and exposes students to the wide range of creative activities our community has to offer in the arts. This program also creates a bridge between creative professionals from the local community and students of all ages at TLS. The funding for these programs is covered by the generous proceeds from The Simpson Family Art Endowment which reduces the parent cost to a $20 registration fee. Each semester brings new and innovative experiences like Creative Body Movement for preschoolers, Ukulele for lower schoolers, and Roots and Rhythm with Marcus Wilkerson for our older kids. For more information and current class offerings, visit the website. For questions, feel free to contact Sarah Heller, Director. Or check out some videos from the past HERE. STUDY CLINIC: An after-school program offered to 4th through 8th graders from 3:30-5:00 Monday through Thursday, STUDY CLINIC is designed to help reinforce the efficiency, organization, and success of our students. Staffed by teachers, the program gives students assisted time to complete their homework. It is a supervised time for the students to get their homework completed with a teacher available to help. 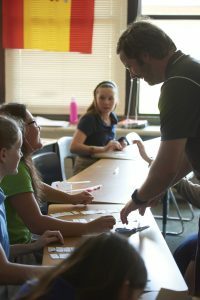 The teacher-to-student ratio is kept low so that individual needs may be met. EXTENDED DAY: The original after-school program, EXTENDED DAY is a drop-in service for after-school care. Activities range depending upon the age and stage of the child (age peers are grouped together) and the amount of time the children stay. EXTENDED DAY is a play-based program, but time for homework and school responsibilities is planned for the older children. Parents are billed based upon the amount of time they use, so the flexibility of this program is helpful. CHESS TEAM: Consisting of roughly 40 team members of all ages, this program is one day a week after school and participates in weekend tournaments all year long. For more information, contact Mary Beth Noel. 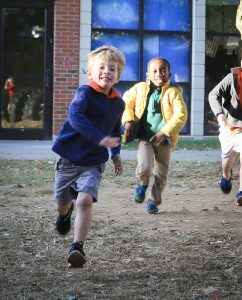 ATHLETICS is another giant after-school program for kids 4th grade and up at The Lexington School, but that’s another blog altogether, so stayed tuned for that action-packed article! Whatever the activity is, it is good for kids to be active. Research shows it, we know it and now we have it. A little something for everyone.